When using this product do not get into the eyes. If eye contact occurs, rinse thoroughly with water. too much irritation occurs or gets worse. for athlete's foot wear well-fitting, ventilated shoes. Change shoes and socks at least once daily. between the toes only: apply twice a day (morning and night) for 1 week or as directed by a doctor. 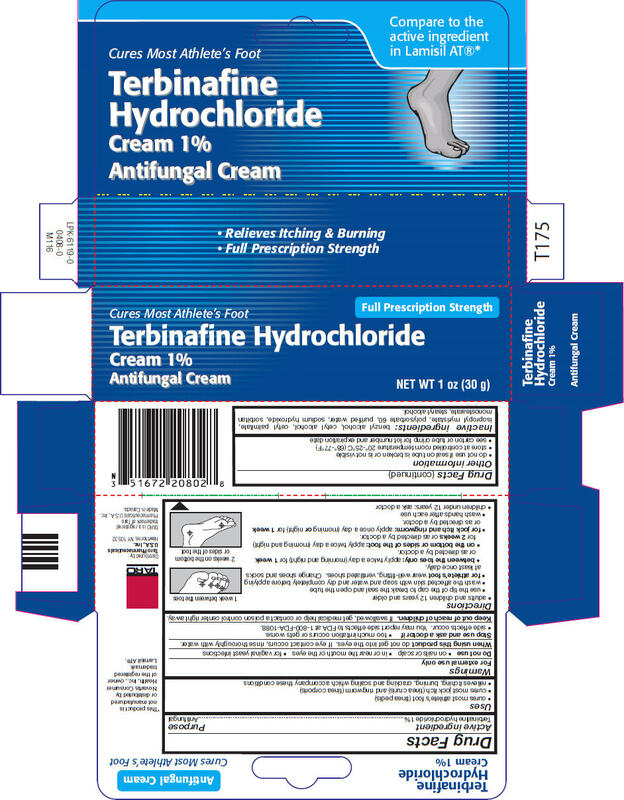 on the bottom or sides of the foot: apply twice a day (morning and night) for 2 weeks or as directed by a doctor. for jock itch and ringworm: apply once a day (morning or night) for 1 week or as directed by a doctor. benzyl alcohol, cetyl alcohol, cetyl palmitate, isopropyl myristate, polysorbate 60, purified water, sodium hydroxide, sorbitan monostearate, stearyl alcohol.